Having just visited 2012 NCAA champion Kentucky and 2013 champ Louisville, 2016 guard Tyus Battle is planning a visit to 2014 winner UConn and 2010 winner Duke sometime in August, his father told SNY.tv. No dates have been firmed up, but Gary Battle is speaking with both schools about the visits. 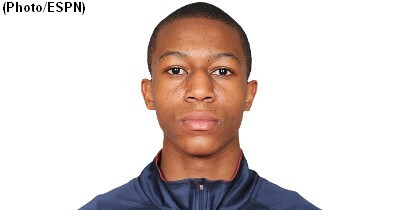 He also recently visited Michigan and Villanova. 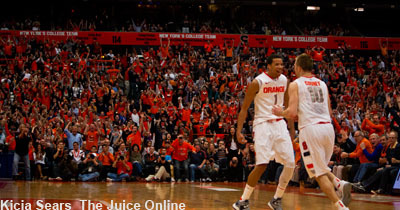 Will expectations meet reality for Syracuse’s draft class? 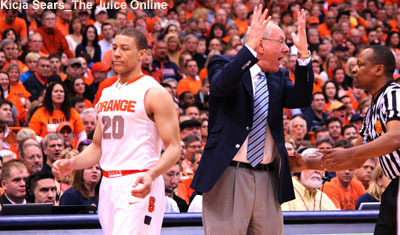 Orange Watch: Hard to imagine Syracuse basketball without Jim Boeheim, isn’t it?